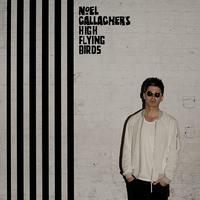 Includes the singles "In The Heat Of The Moment" and "Ballad Of The Mighty I"
Chasing Yesterday is the brand new album from Noel Gallagher's High Flying Birds and follows the hugely successful debut released in 2011. It's the first album to be produced and written by Noel and features a much broader array of instrumentation than ever before. The result is a rich, expansive and multi-layered record. Includes the brand new single "In The Heat Of The Moment" and brand new single "Ballad Of The Mighty I."